Since my last (and first) post I have started fieldwork on comparing reef associated shark densities in a marine protected area and a non-protected area, starting with fieldwork in the non-protected area which is near our capital city, Suva. As this is the first time reef shark research is being carried out at the University of the South Pacific and there are no resident shark field biologists on staff so it was difficult to write up the fieldwork methodology at first. 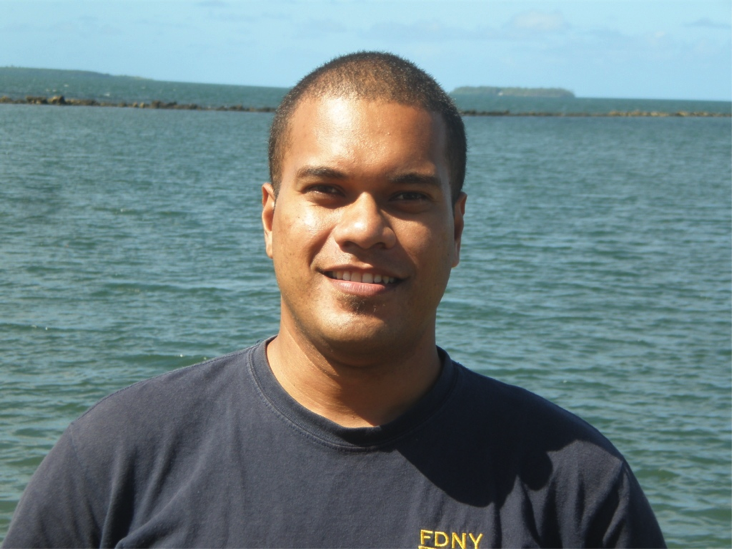 Advice from Dr. Demian Chapman of the Stony Brook University (New York, USA) introduced me to the Baited Remote Underwater Video Survey method, also known as BRUVS. 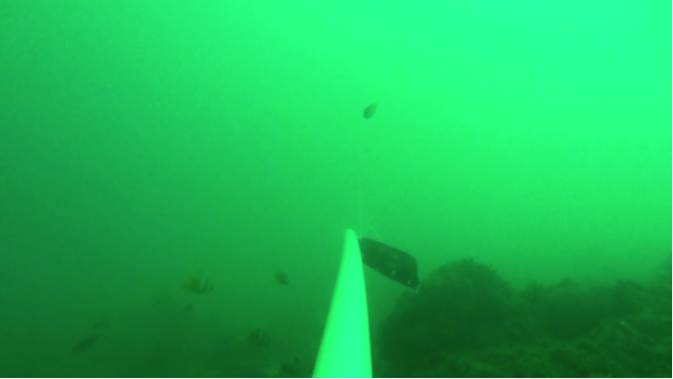 This method basically uses a video camera placed in an underwater camera housing secured to a metal frame, to which bait is also attached. 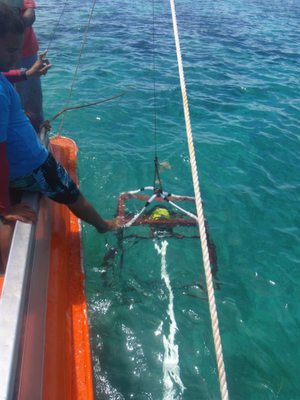 The frame is lowered into the sea and the video camera records any shark (and fish for that matter) that comes to investigate the bait. BRUVS video still – Seagrass area. Bait bag in centre of picture. The BRUVS method is ‘shark-friendly’ in the sense that sharks are not physically disturbed by human presence or actions. Edd Brooks of the Cape Eleuthera Institute (the Bahamas) assisted with the technical specifications of the BRUVS metal frame. Further research showed that researchers from the Australian Institute of Marine Science (AIMS) developed the BRUVS method. I am fortunate to get assistance from different parts of the world! BRUVS video still – Channel. Bait bag in centre of picture. It took a while to get the BRUVS frame, video camera and housing together. The housing had to be imported and the video camera required was not cheap to buy in Fiji so you can understand my anxiety when it came to the equipment field testing stage for this part of the research when I realised that the only video camera that my research budget can afford was going in seawater (electronics and saltwater are not great friends). Great housing care and working advice (and horror stories of flooded cameras) from Stuart Gow, a local SCUBA professional, ensured that I did everything possible to prevent the housing from flooding and there were no problems out in the field. I didn’t get any video of sharks during the field test since the main aim of the test was equipment integrity, but when I do get a great shot of a shark during fieldwork I will definitely post it here. Until my next post, moce mada. Kelly Thomas Brown is a Masters candidate at the University of South Pacific and is the Manager of Fiji Shark Defenders. 5 Minutes to help ban sharks in Toronto!